Making your mobile devices even better..
Photo editing apps are amazing tools to help you bring your photography game on the next level. For you to have fun and create funny and cool thug life photos like the popular ones you need the right photo editor. Thug Life Stickers is an amazing photo editor that will allow you to create your own thug life photos, montages, and collages. 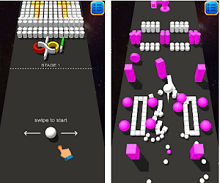 We liked this app so much, we decided to pronounce it our Photo App of the Week. Read more about it below! What is Thug Life Stickers? The Thug Life Stickers is an amazing thug life photo editor that is very fun for users that like to create photos of them or their loved ones looking like their favorite rapper, filling them with the gangster thug sway with glasses, hats, quotes and much more. With this easy to use the app, users are able to create their own thug life photos, montages or collages with just a tap. In just a few seconds, using this photo editor and maker, users can use their own creativity to make the coolest thug life photos. This fun and cool photo editor gives users the chance to choose among many interesting thug life stickers like quotes, glasses, hats, caps, shades, glasses and other stickers. 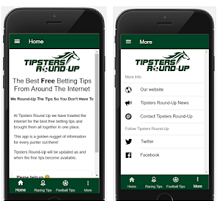 Users can easily customize their photos choosing from the large selection of stickers and PNG where new stickers are added with every update of the app. The stickers you add can be resized and positioned as you like for you to easily create the perfect thug life photo. With the wide selection of gangster-like sway filters, you can choose any filter for your photo, save the edited photo and then share it. 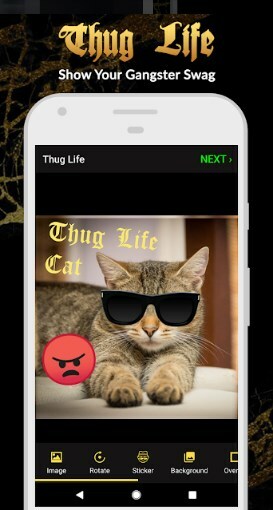 Different thug life frames can be added to the user’s photos and the user does not need to use a crop tool because the app has available the perfect square frames. Users can also add to their photos unlimited custom thug life quotes and texts with a diverse range of fonts as well for the color of the text can be changed as the user likes and users can write a thug life caption overlay to their photo, montage or collage. Share your created thug life photos with just a tap on social media platforms like Twitter, Facebook, and Instagram. Download it now for free on Google Play to have fun and cool thug life photos of you and your friends! A super-handy list of useful apps for both iOS and Android.